How time flies!!! 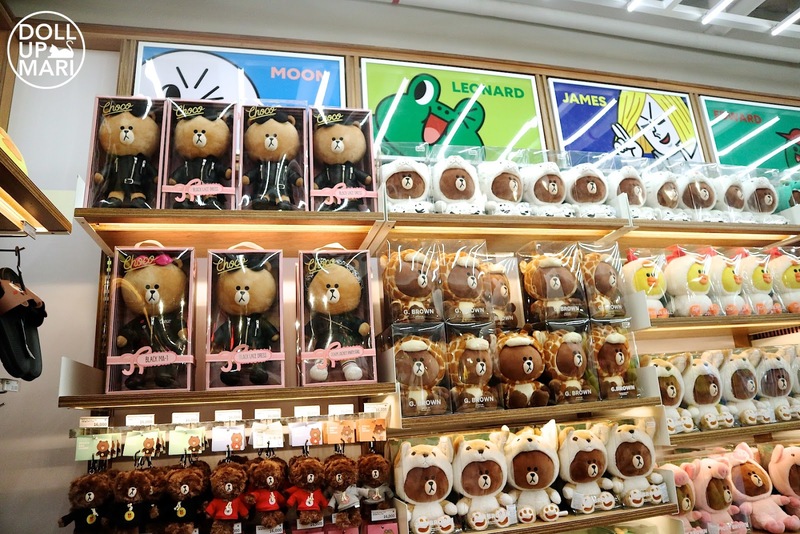 I miss shopping in Korea! When I look back at this vlog I'm still in awe with how much I was able to squeeze in a day. 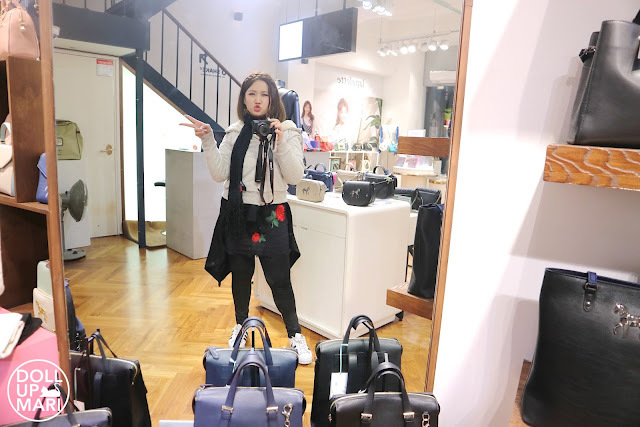 We were able to have a Charis Beautiful Journey K-Beauty fair, lunch at Merry Go Round, a Line friends store visit, D Museum visit, and I was able to use the little time left to squeeze in a Myeongdong shopping trip! Whew! Good times, good times. 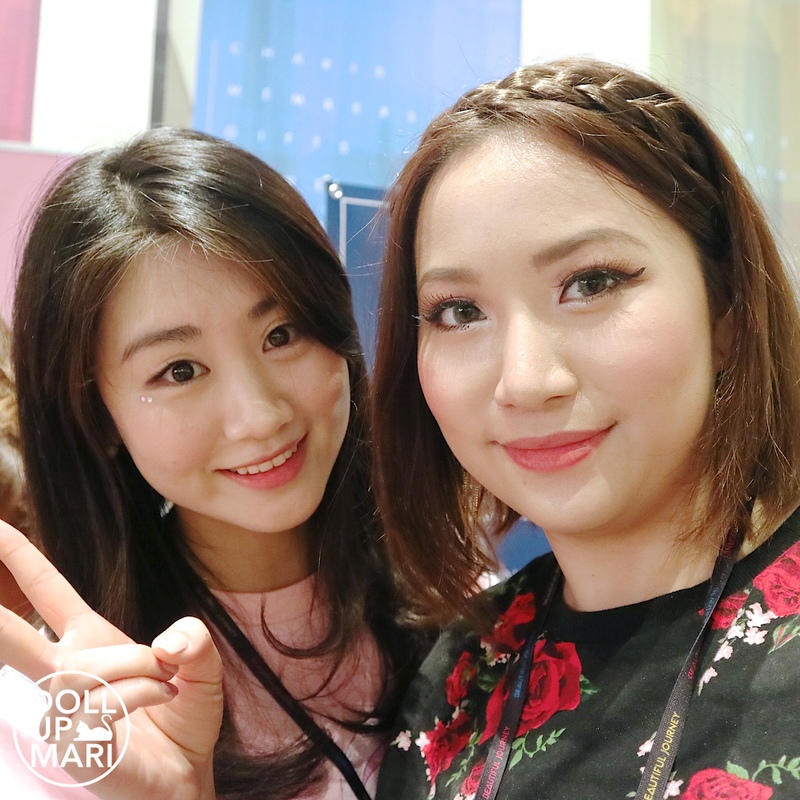 We had a very busy morning as we started the K-Beauty fair. 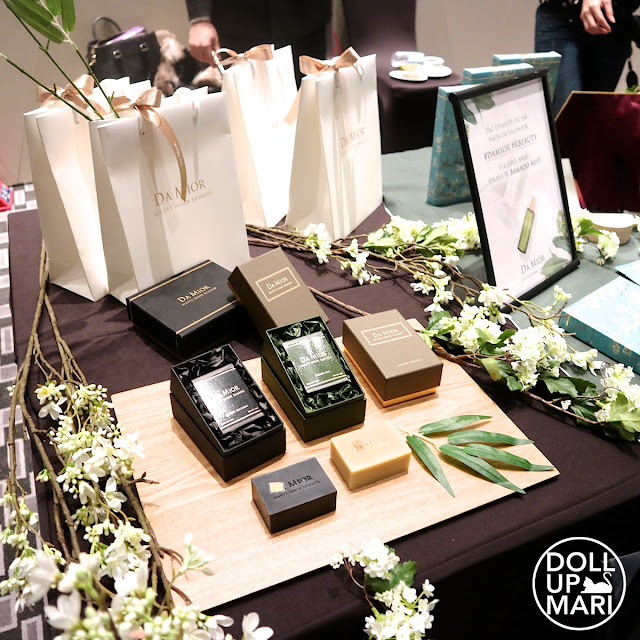 The past Beautiful Journeys, the gifts from brands usually would be delivered to our rooms, and we'd just be surprised to get back to the hotel each time as there are tons and tons of new goodies whenever we return to our rooms. 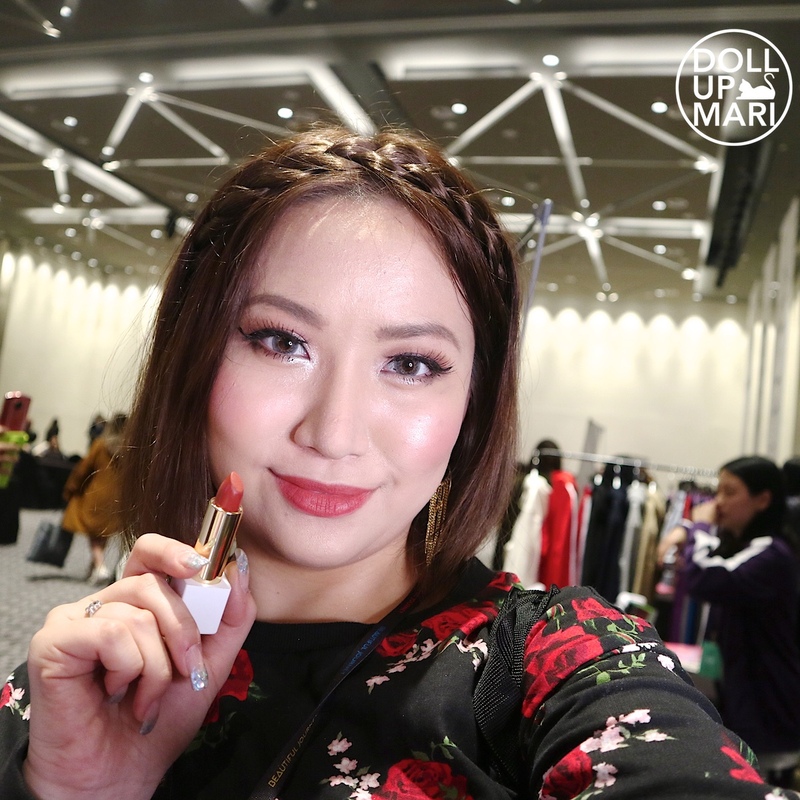 Getting goodies is of course fun, but as bloggers/influencers/whatever we are called, we of course want to talk to the people behind a brand to be oriented with the brand. 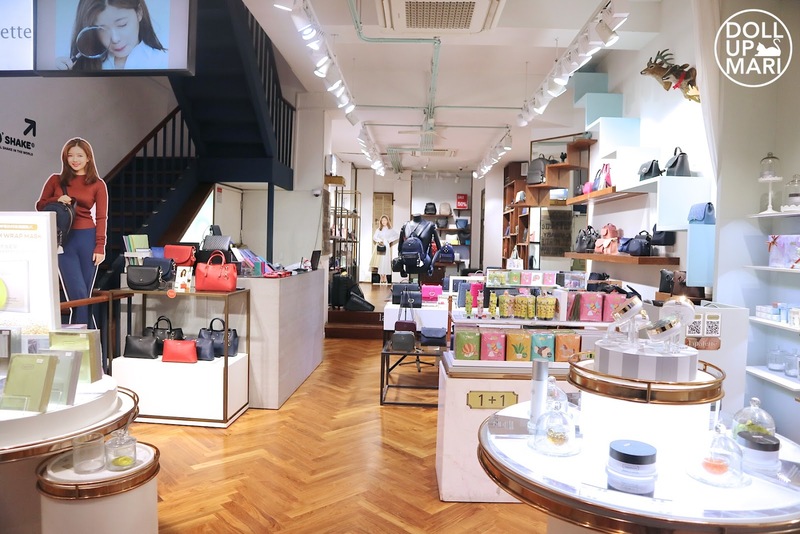 We want to learn about the brand story, understand what problems the brand is trying to solve through its products, and to get acquainted with bestsellers of a brand. This event was thankfully able to help us achieve all that. 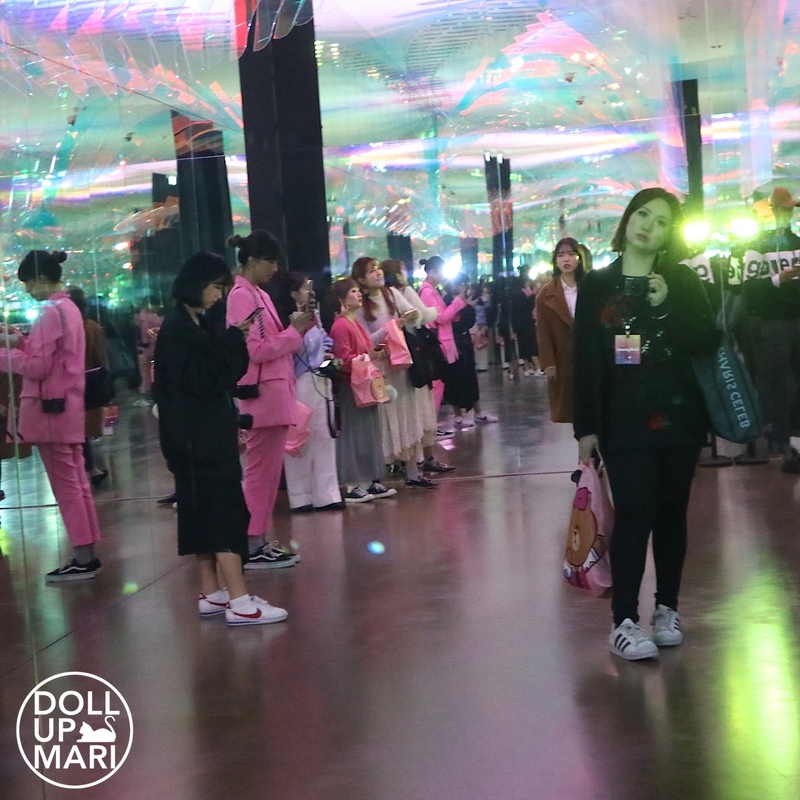 They had a bazaar setup for us to be able to talk to each brand, and often they had fun games and activities for us. It was nice to learn from the brand people themselves on what makes their products special. So we were briefed and then we all got ready to meet with the brands. 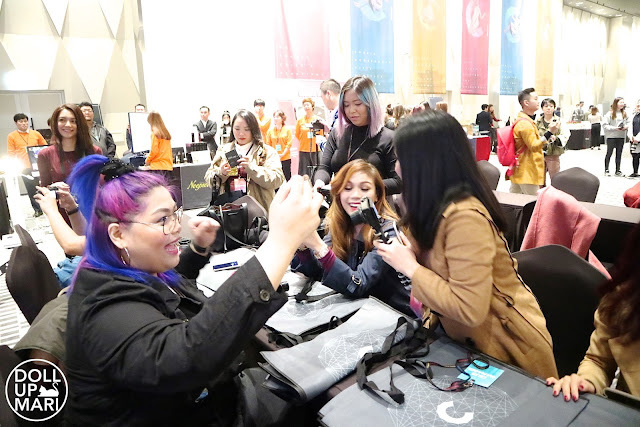 What happens when you're with a whole group of vloggers? This is the usual view of things. Let's talk about the brands!!! Vodana, one of my favorite brands, had a booth. 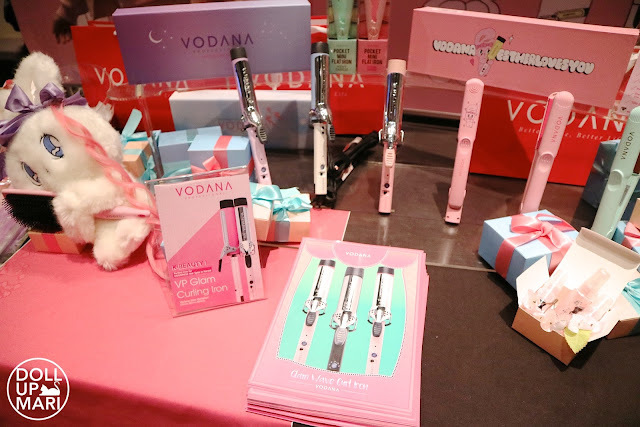 Vodana is famous for wide barrel irons that heat up really really quickly, so if you want to do Korean style waves, this is the brand that will help you achieve them the easiest and the best way possible. 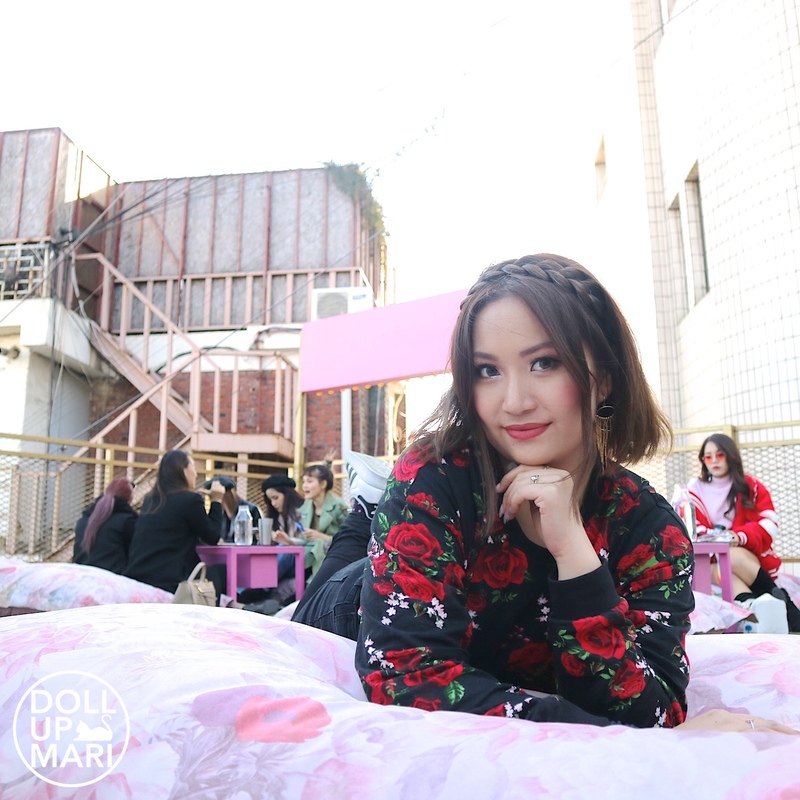 Their Glamwave curling irons are at 36mm and 40mm, compared to the usual 26mm-28mm of most irons, so that's why there really is a difference in the results. It was so nice to finally have met Vodana CEO Sue!!! I really love the brand so much that I was so happy to be able to meet her. They also had Anark sunglasses on display! Anark comes up with really sophisticated sunglass styles that when you wear them, you feel so rich and powerful all of a sudden. 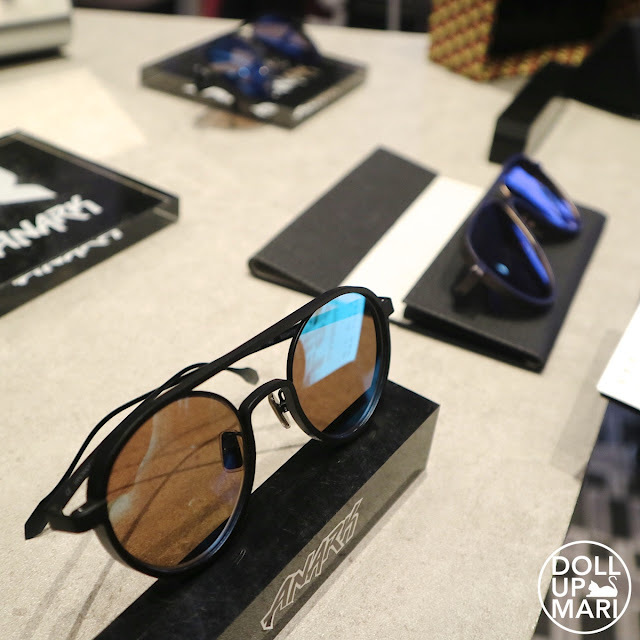 The craftsmanship is also top notch, so even if a lot of the sunglasses have grunge designs, they have a luxurious feel to them overall. I was also able to try more stuff from Romand! This shade of their Crazy Payoff Matte Lipstick is All That Jazz. We were asked to sit down and have a color test done on us (it was done by seeing what color of a table napkin flattered us more), and the conclusion was that this shade was the best fitting one for me based on my skintone and aura. And finally, I met HyunTae again! 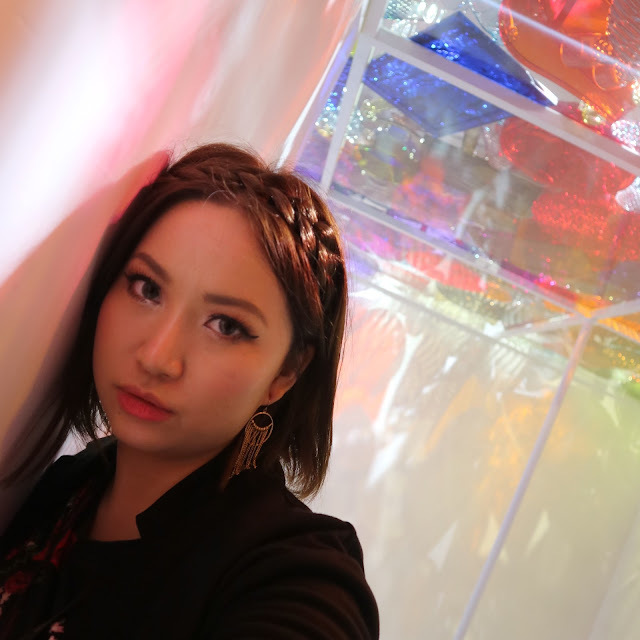 Hyuntae is the creative genius behind Ra Beauty Core, and this time, he is back for another collaboration with Charis. He already has a haircare line called Hey! Deux Yeoza and it's very popular for its Rapunzel Hair Treatments. The leave in treatment smells really good and doesn't weigh the hair down, which is why a lot of people love it. Wangskin also came to showcase their popular lip and eyebrow tattoo tints. 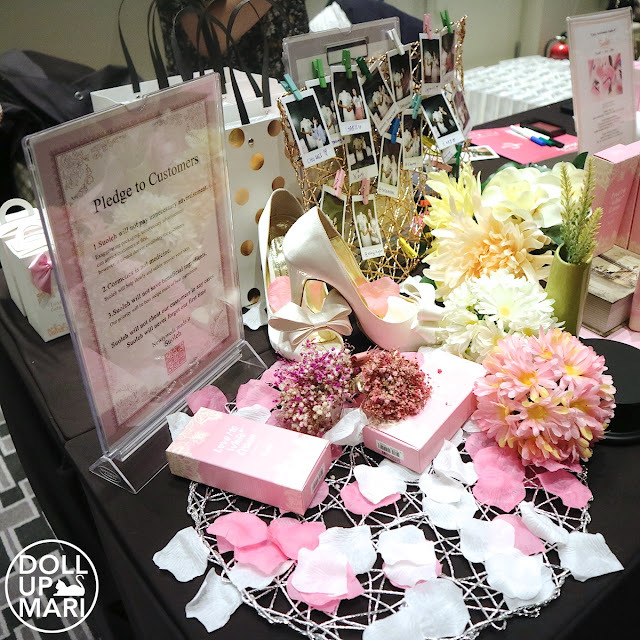 Suoleh had one of the cutest and most memorable booths! The brand is bridal themed because of their hero product, their Love Me White cream. Their claim to fame is that their tone up cream evens out the skintone with natural looking results that you'd always look perfect even during the first night after the wedding, and even during unexpected boyfriend visits before that. If you cannot be caught dead without makeup, but also need to tone it down for whatever reason, then this is the cream for you. Aperire also had their wares on display, and they do have a good selection of color makeup. Papa Recipe was also there! We got a lovely eyeshadow quad from them! I was so thankful for this event because I knew the brand mainly because of their miraculous Bombee Masks, and I initially thought that they were a skincare focused brand. Turns out they have lotsa cute and whimsical makeup releases, too! I also heard that Papa Recipe's eggplant series is quite popular, so I was quite curious about the products as well. 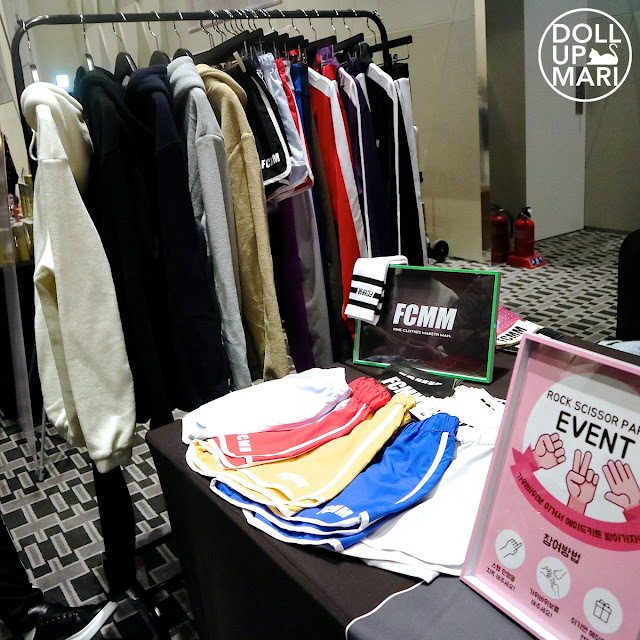 FCMM (Fine Clothes Maketh Man) also had a streetwear booth. My style is really geared towards grunge and street style, so I really wanna own every single thing on this clothing rack! I was not able to try it, but these are the items from Fiori. 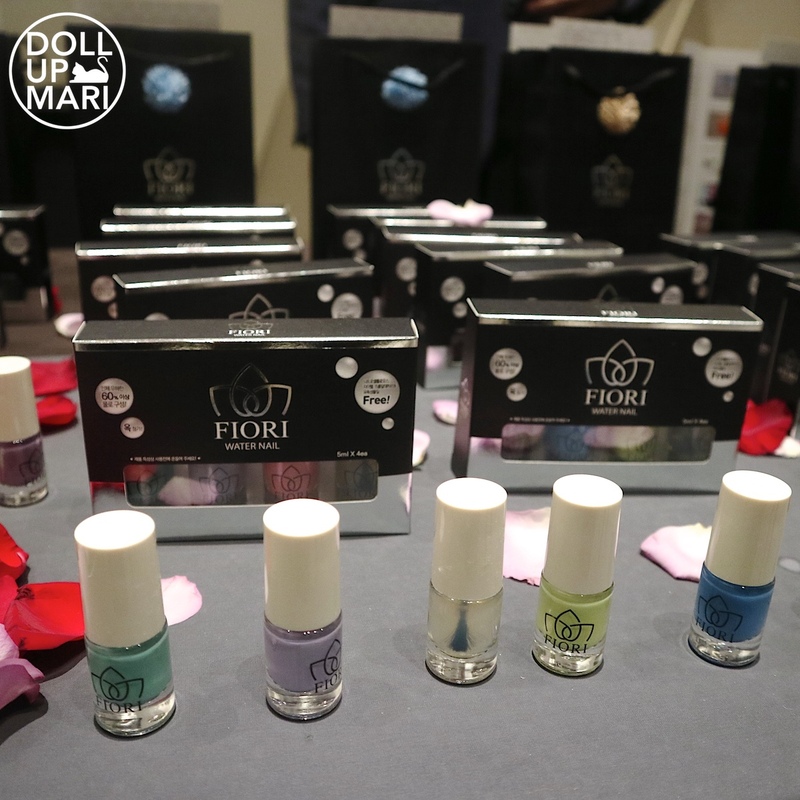 They specialize in water based nail polishes and it was interesting to see such a concept. I have had gel extensions since 2016 so I haven't been using normal nail polish ever since. Da Mior also had a booth. This photo has a smell!!! Da Mior is famous for very clean smelling (think Clinique Happy) kind of fragrances. Their bamboo range smells soooo good! It smells different compared to green tea but brings a similar sense of satisfaction. They are also popular for their Almond Blossom sheet masks, but I don't know how those smell like yet (sorry y'all know I got swamped with work from the time I got home from this trip). 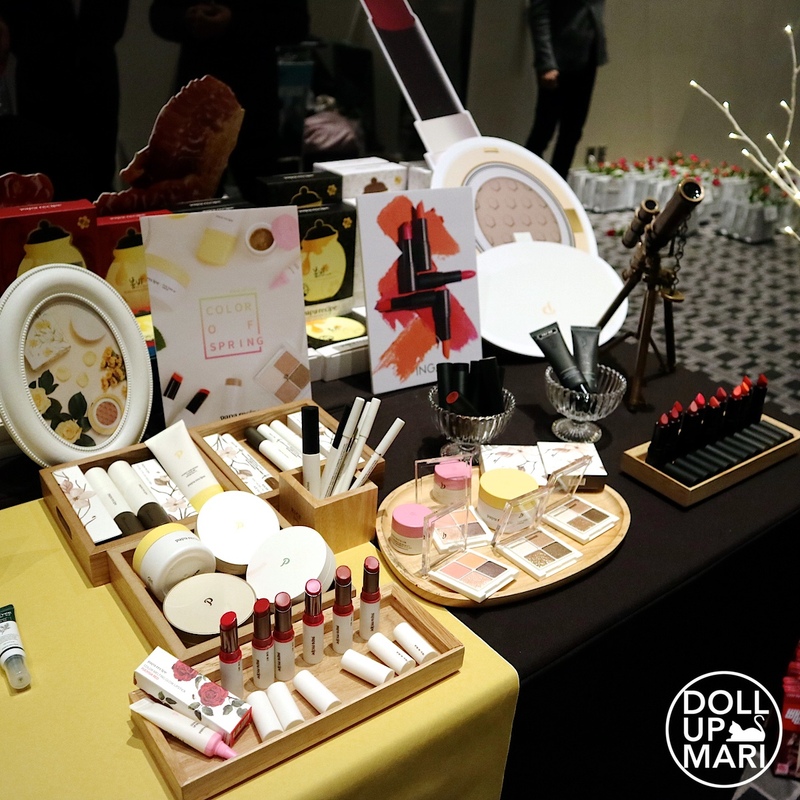 And those were the highlights from the K-Beauty fai! They brought us to Itaewon for lunch. We were making our way to Merry Go Round. Indeed, I understand why they brought us here. The whooole place is so IG-worthy!!! They explained that though this place wasn't a sponsor per se, they thought that we'd love it as it's the it hangout in Korea at the moment. 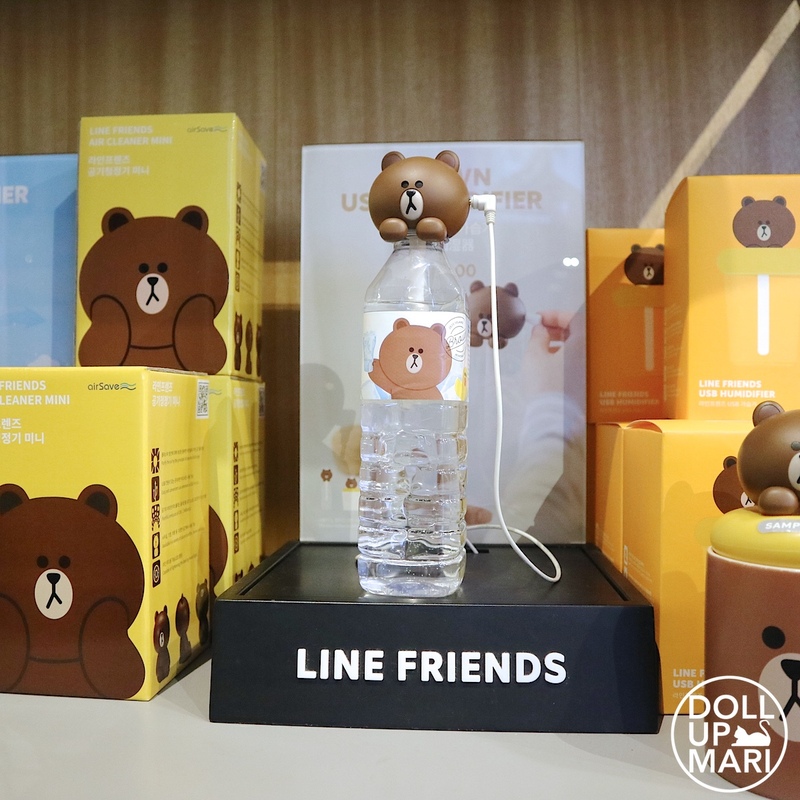 After lunch, we made our way to the Itaewon Line Friends store. True to the vision of the managers, the place is like a theme park! We went here as well during the last Beautiful Journey, and the manager explained that the whole concept of this was to have the feel of a theme park in the middle of the city. City life can get dull and boring, but going to theme parks is something that needs to be planned for, so why not have a place that's easy to access within the city but gives people the joy that theme parks give? Since it was autumn at the time, their pocket warmer and blanket offerings were in full swing. Their pocket warmers smell so good! I bought one for my mom and tried microwaving it, and it smells like a delicious granola bar. It's also cheaper in the long run compared to disposable pocket warmers. Something that caught my attention was the bottle water humidifier. I now don't know what to do. I love how moist my skin is when I turn on a humidifier, but now that I have a salt lamp, I also don't know if I can still buy one. When it's stormy, my salt lamp melts even if I have it covered in plastic. I just don't know anymore. 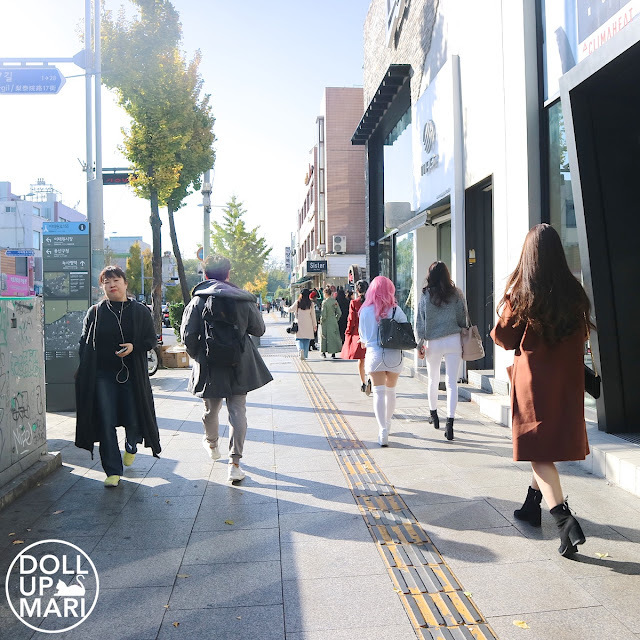 After our Line friends store visit, we moved on to the Hannam area to visit D'Museum. 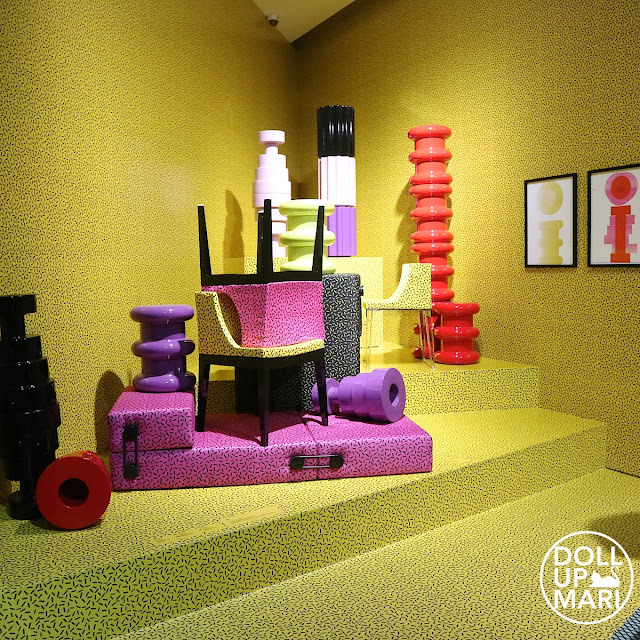 This museum is located right across BTS' house! Yeahp this is across Hannam The Hill. 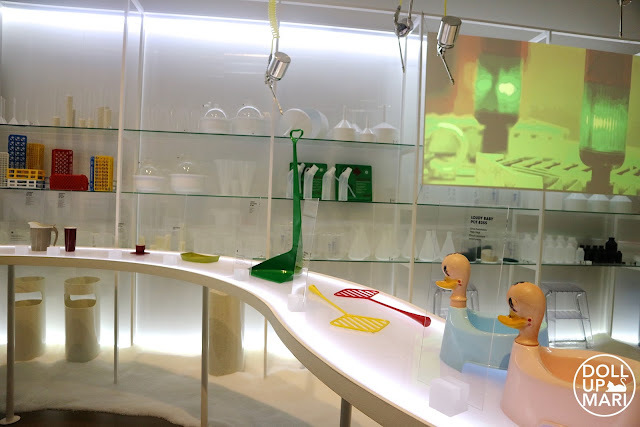 The exhibit we visited at the time was "Plastic Fantastic," which featured the history of plastic in people's homes. 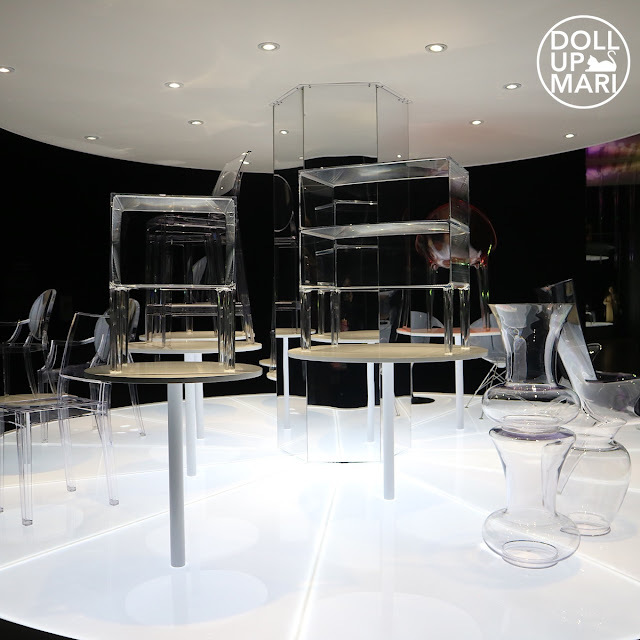 If you don't pay attention, you won't really realize that the plastic in furnitures and appliances affects our lives immensely. Whether it's the functionality or the aesthetic, you never really know how much plastic affects your life until you actually think about it. 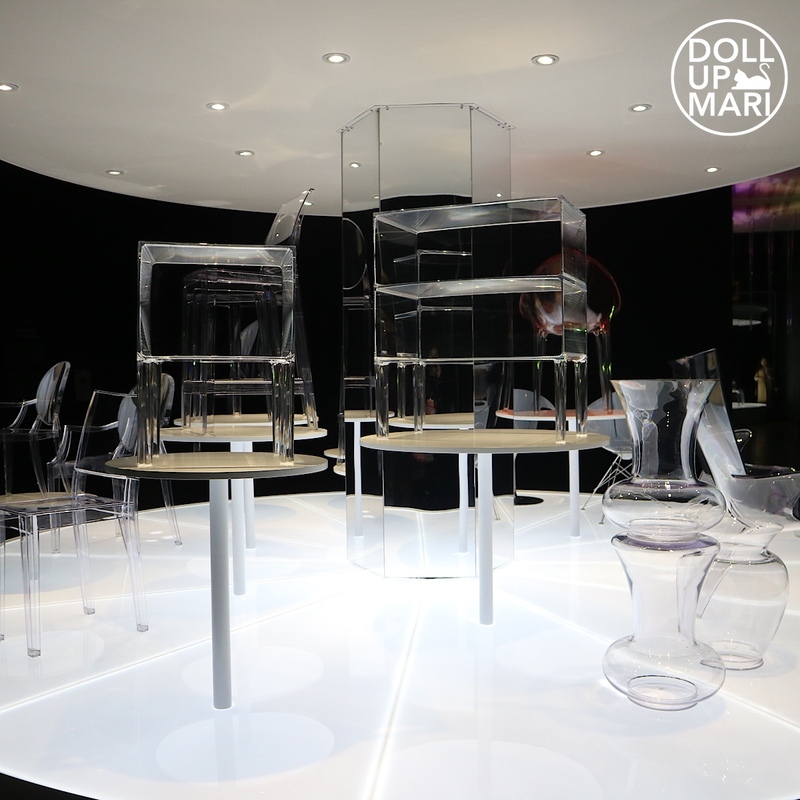 They had a lot of pretty acrylic furnitures designed by the likes of Philippe Starck on display. And they also had a lot of interactive rooms for people to have nice photos taken at. After the D Museum visit, we went back to the hotel. Officially, the day's activities were done as far as Charis was concerned. But they had an offer we couldn't miss! 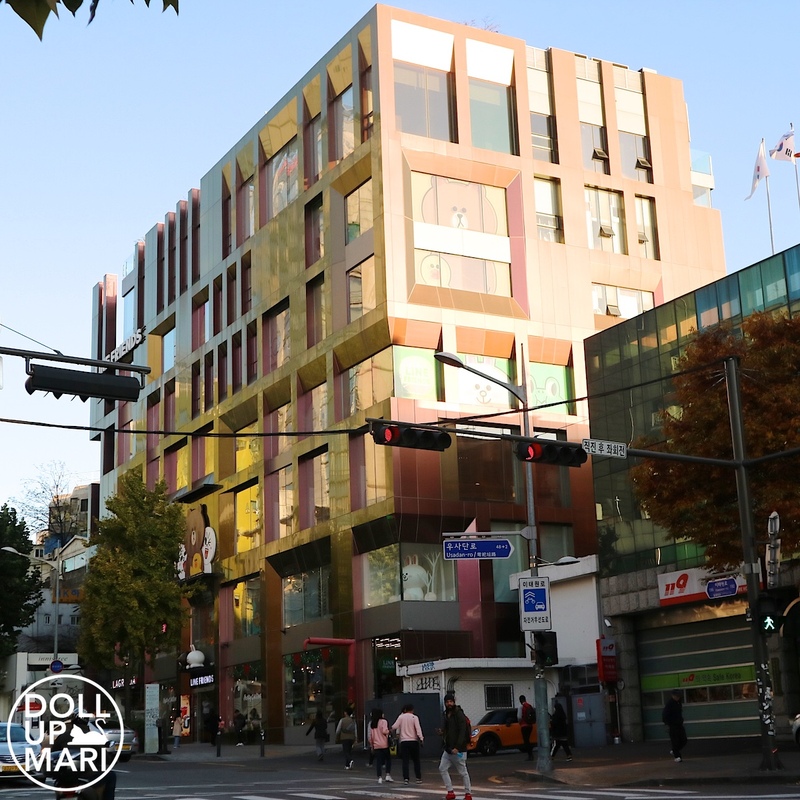 The folks at La Palette said that if we could make it to their Myeongdong store that day, we could choose any bag in the store for ourselves. 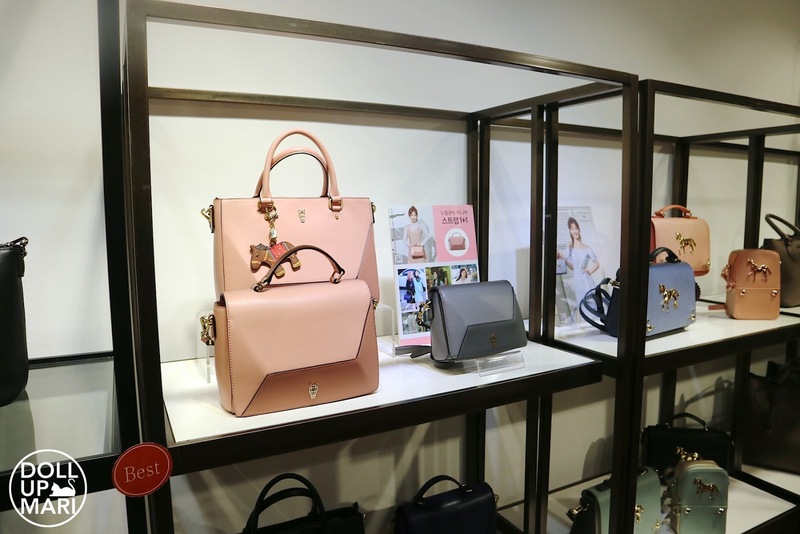 La Palette is a popular tourist destination, apparently, for premium Korean handbags. Their bags have graced many magazines, and have been the statement item of many celebs in their public appearances and airport paparazzi pics. And here's a store selfie! Yes, it was that cold that aside from me being inherently fat at the time, I was wearing four layers of clothing to stay warm. The bag that I chose is the black version of the pink handbag at the back. I wanted to go for a bag that was spacious to some degree without looking sloppy, and something that also looked youthful. The other bags I liked looked too mature on me, so it wasn't a good fit. This bag was "the one." At the end of a tiring day, I went back home to tea at our room at Ibis Styles hotel. 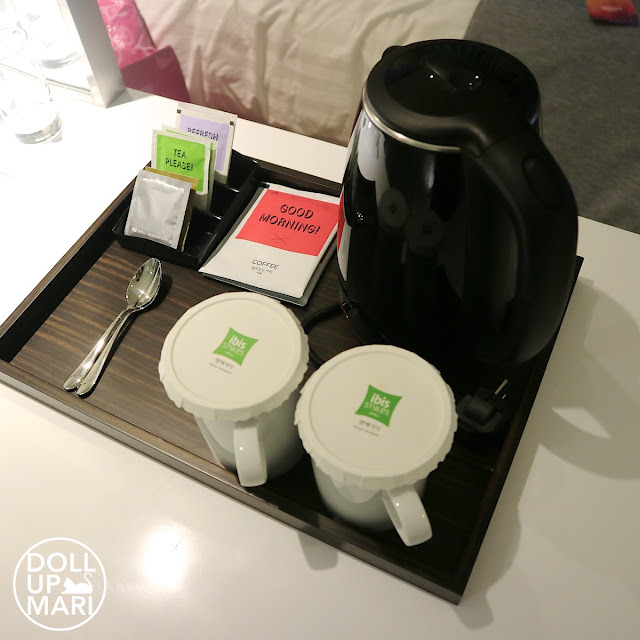 We changed hotels at this point already, so this is why this tea set looks different from the one at Grand Mercure. As for the selfies! Here's another photo with Maggie. And another one with Maggie! But this time Jo is here, too. This selfie was taken in front of a heater! It was so cold when we were having lunch at Merry Go Round that we needed to face the heater to stay warm. What happens when girls stay in front of a heater for half an hour? Selfies like these happen. And a selfie with the legendary Xiaxue as well! That's it for Day 3!